Welcome to our premier Kiteboarding school in Rodanthe! With shallow waters, consistent winds, and a sandy soundside floor this location is the perfect area for anyone looking to advance their skills or simply start their kiteboarding adventure. With a variety of ways to learn, we have a class style for everyone! Our basic beginners course, the Fly & Ride , is a perfect way for anyone looking to understand the very basics of kiteboarding. Our next option, the 2-HR Private Lessons, is the best action packed lesson we have a la cart. The lesson is a 1:1 ratio for instructors and students for maximum instruction. Check our Packages Options to see how we recommend learning this sport or join us for CAMP! Aside from kiteboarding, we have many other activities to choose from! With more than 15 locations from Corolla to Ocracoke, Kitty Hawk Kites is the largest retailer of kites, toys, flags and wind art on the Outer Banks. You’ll also find a leading selection of quality resort apparel, footwear, t-shirts, sweatshirts, sunglasses, gifts, recreation equipment, beach gear and more. Our selection of Outer Banks apparel and hats can’t be beat! 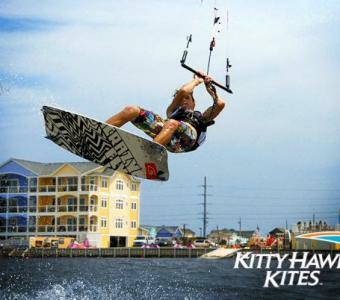 Find a store near you with Kitty Hawk Kites' location finder, or get right to shopping online.